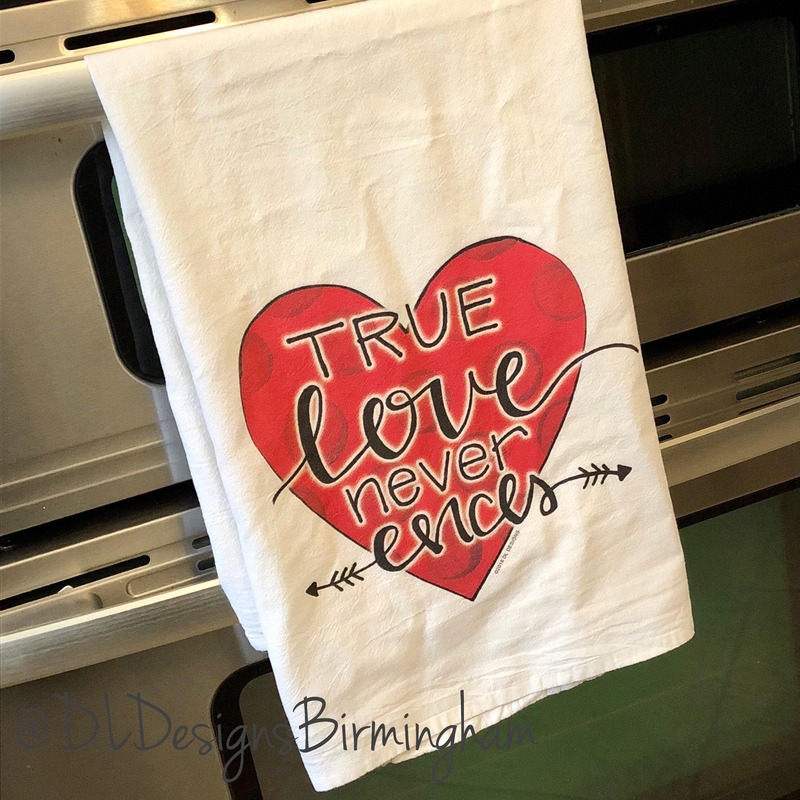 Perfect gift for teachers, friends, or any occasion! 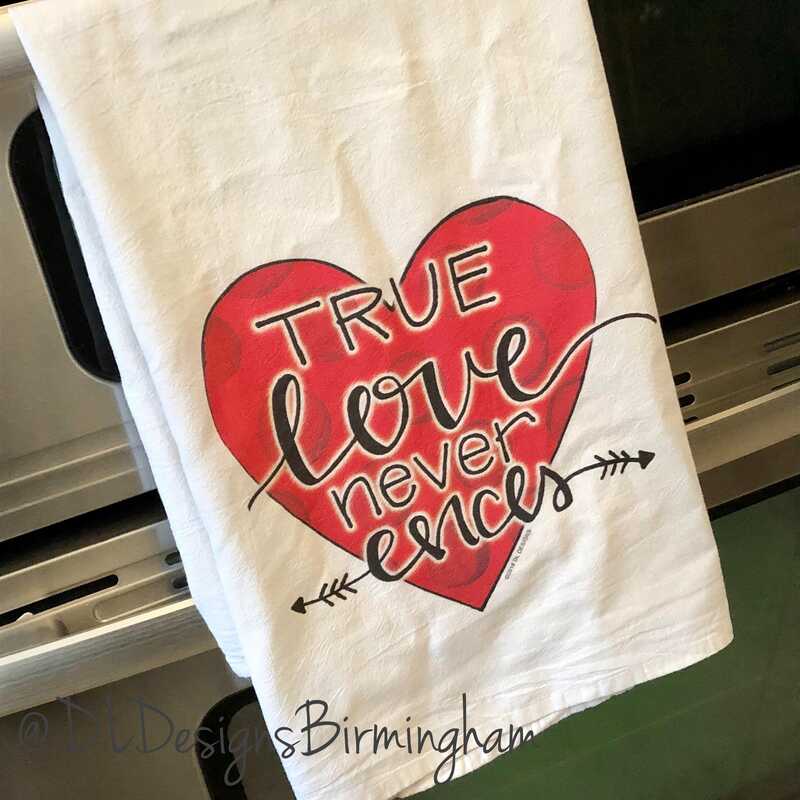 Hand lettered ‘True love never ends’ and heart design by me that's been imprinted on flour sack tea tea towel. 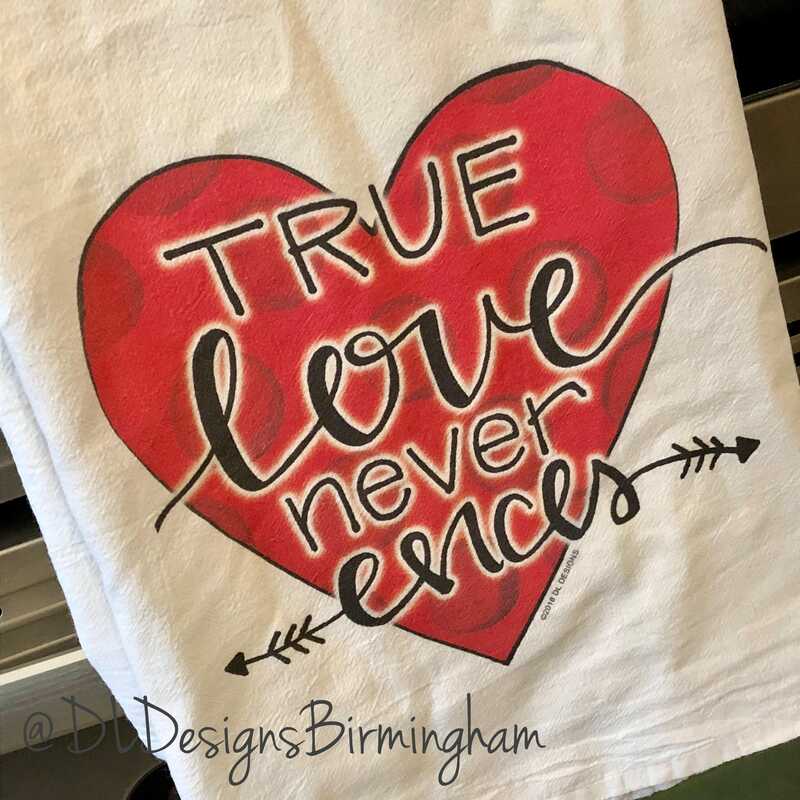 Items are in stock and available to ship in 2-3 days.